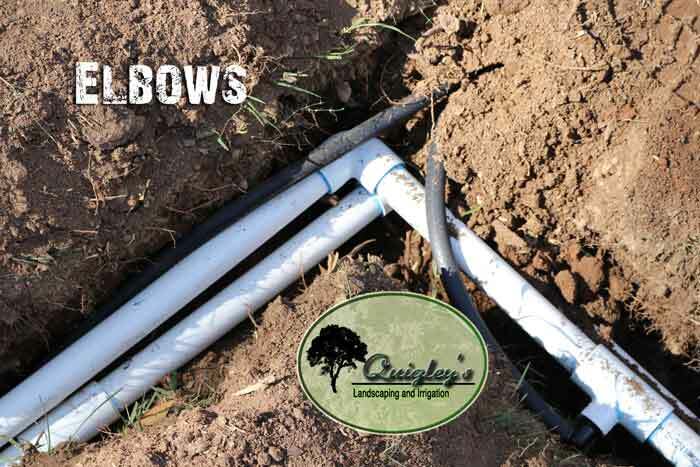 Irrigation Projects - Nashville Irrigation Estimate Design Installation Repairs for Nashville, Brentwood, Franklin, Spring Hill, Nolensville TN Tennessee areas. Here on this page you can see some photos from past irrigation / sprinkler projects. 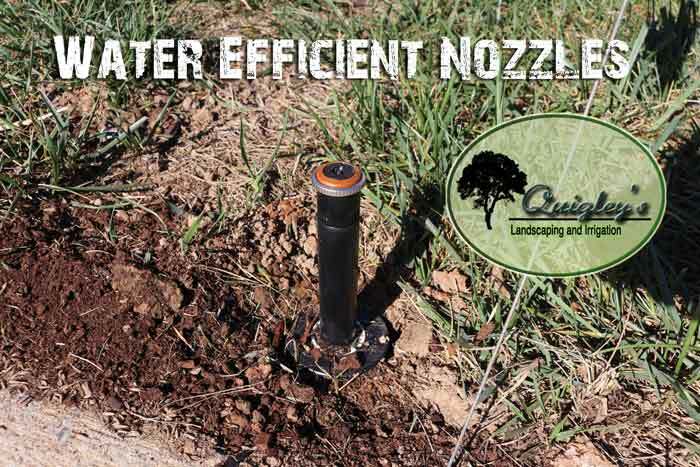 On the above image you can see a modern water efficient nozzle sticking up from in the grass area of one of our irrigation projects. Here in the above image are elbows, this is where the pipe bends, you can also see some other black water lines of flex pipe that are going out to irrigation heads. 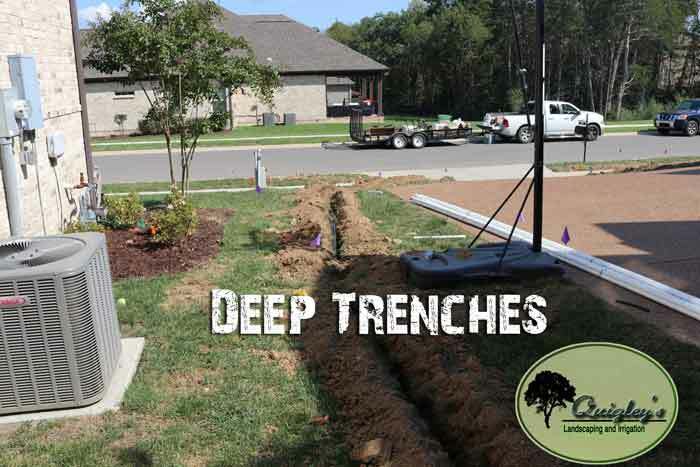 Deep Trenches are important to irrigation success, this way they don’t get damaged by vehicles or equipment on your property. In the above image you can see a backflow preventer, these are required in our area and must be properly maintained. 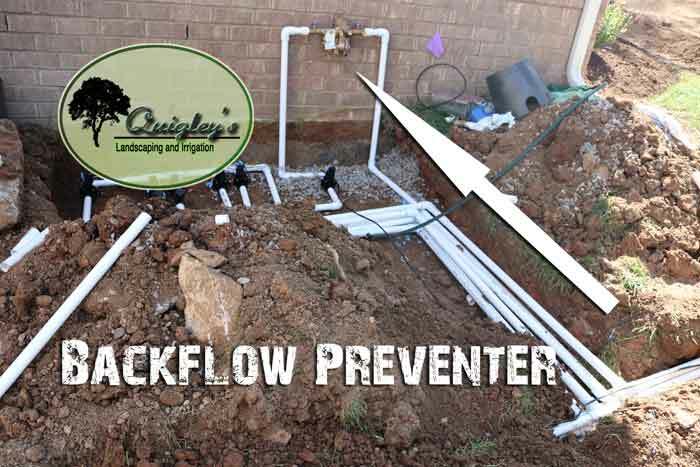 A backflow preventer stops irrigation water from getting into your drinking water and this is very important. If you were wondering what our pricing is like look below. Our prices for sprinkler systems / irrigation systems is about average but our care and reputation make us the best choice.